Follow the steps below to create a single SignUp list. Alternatively, if you want to create several similar lists at once, you can Batch Create a set of lists, then edit them individually afterwards. Give the list a descriptive name, making sure that it is unique to this course, and provide more context in the text field – details of the sign-up period and the number of people currently on the list will be added automatically. Set the dates and times where you want students to be able to sign up. Outside of these dates, your students will be told that it isn’t open/has closed. You can get the SignUp list to also populate a Blackboard group, and also select if students are automatically added to the group. Create a group if you want your students to engage with each other using blogs, wikis etc. If you’re using this list as a way of collecting students’ names, you probably won’t want Blackboard to create an associated group, as such select None. 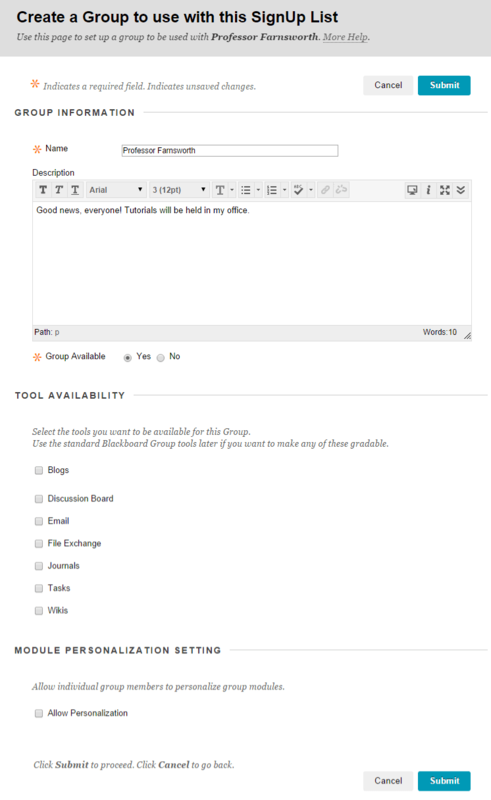 Finally, you’ll see the familiar Blackboard options for a piece of content. 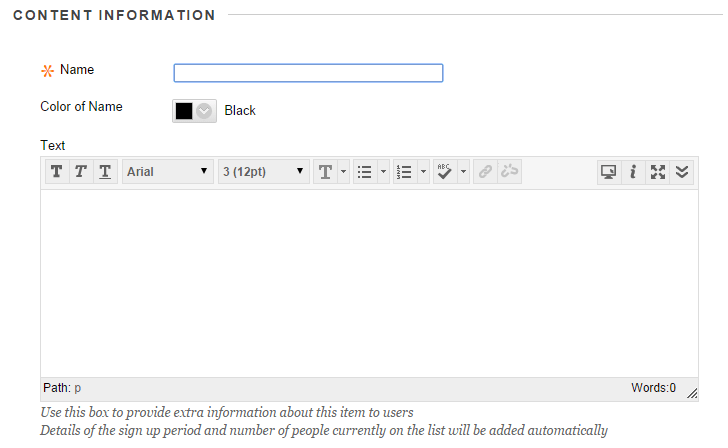 If the SignUp list is populating a group, you will see the Create Group screen. 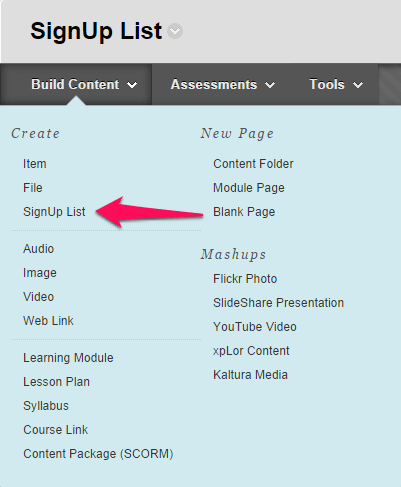 This will add the link to the SignUp list to the content area.